As the Russian interference probe drags on, a new report places Special Counsel Robert Mueller’s investments under a microscope. According to 2017 SEC Fillings, Mueller is invested in a hedge fund betting against Gazprom, the state-owned energy giant in Russia. The OCCO Eastern European Fund also stated in late August 2017 that “Our single largest position at ten percent total gross exposure is the 5% long position in Novatek paired with a cash neutral short position in Gazprom.” This means that the fund is betting against Russia’s state-owned natural gas company, Gazprom, while going long Gazprom’s main competitor Novatek, which is the largest non-state owned natural gas company in Russia. According to Charlemagne Capital, the OCCO Eastern European Fund is based in the Cayman Islands and is has a net-long position in the Russian markets. This means that Robert Mueller gains financially if the Russian market does well. 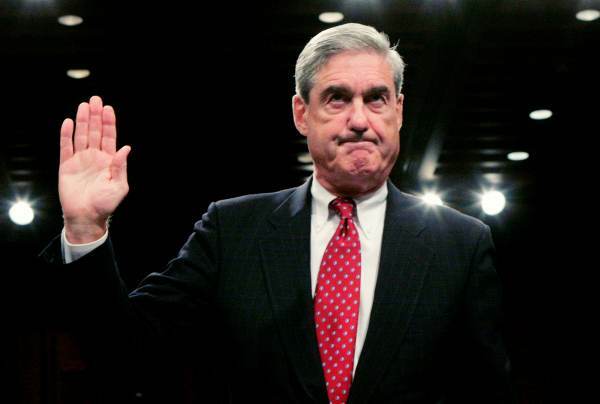 While the dollar amount Mueller made was not disclosed, the report at hand is particularly noteworthy as evidence pointing to the Special Counsel’s role in the Clinton-Uranium One deal has come under investigation by House and Senate investigators. Over two years ago Russia requested a ten-gram sample of highly enriched uranium (HEU) seized in early 2006 in Georgia during a nuclear smuggling sting operation involving one Russian national and several Georgian accomplices. The seized HEU was transferred to U.S. custody and is being held at a secure DOE facility. In response to the Russian request, the Georgian Government authorized the United States to share a sample of the material with the Russians for forensic analysis. Now knowing that the Obama Administration and Hillary Clinton hid the FBI investigation into the Uranium One deal, this cable brings on new meaning and leads to numerous questions.